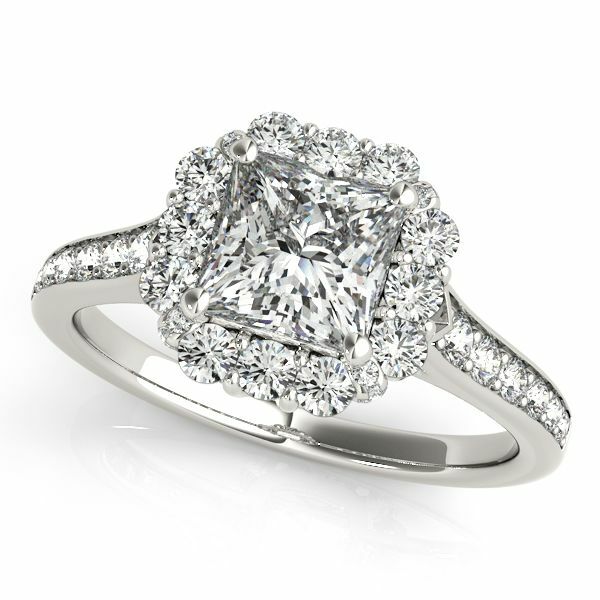 A 1.00 carat princess cut diamond is beautifully set in 14k White Gold. Framing this sparkling square shape diamond is a flower halo, softening its hard edges for a delicate look. Further diamond accents adorn the band and sides of setting. 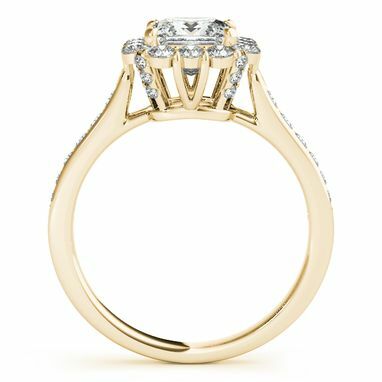 This preset engagement ring is crafted with only conflict free diamonds and is available in different metals.